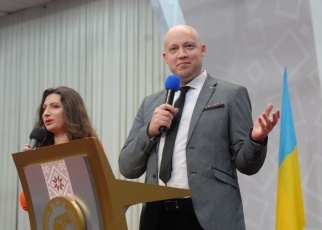 The second day of the 23rd Anniversary of the “Embassy of the Blessed Kingdom of God for All Nations” Church began with outstanding praise to God. 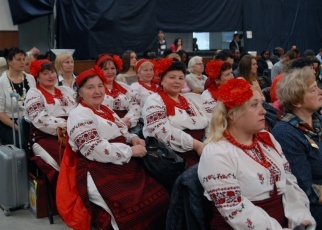 Following this, the moderators of the service, Miroslav and Oksana Kobzar presented gifts to the guests at the Birthday of the church in the form of the musical group “Grain of Love.” This Ukrainian group, in addition to singing Christian songs in the national style, also shared photos from their archive: photos of concerts from all over the country, certificates of commendation and received gratitude for their creative efforts. Several people shared their stories about how God helped them in life. 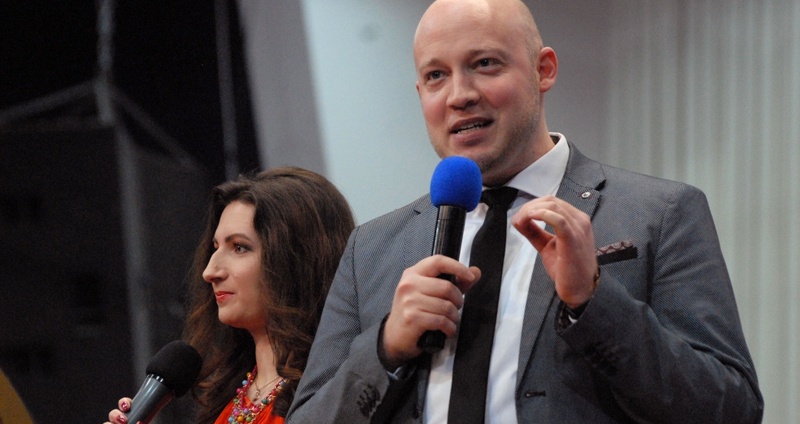 Brother Sergey testified on how, being honest and responsible, he was able to defend the truth in court, not being afraid of intimidation and manipulation by the authorities. Sister Lyudmila from the city of Chernomorsk, Odessa region testified about how the Lord saved her from witchcraft and thoughts of suicide. Now she goes to church and reads the Bible. She is an active public figure and the co-founder of a charity foundation. 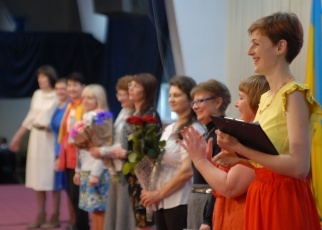 Nadezhda Stenina, a regional pastor in the Odessa region, told the fascinating and uphill story of her life, from the time she was in her mother’s womb. Thus, the congregants learned how when she was 38 years years old, God miraculously healed her from a disease connected to her spine. 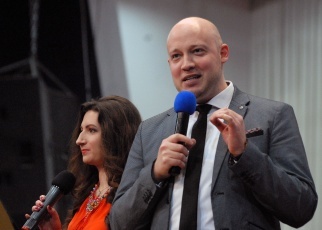 Now, through the prayers of the pastor Nadezhda, God heals people from cancer, drugs, alcohol. 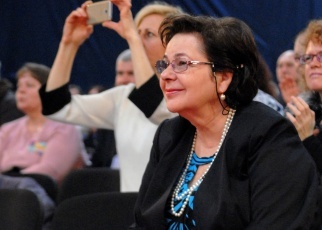 Thanks to the influence of pastor Sunday on her, her ordinary thinking changed and became more creative, she got ideas and started projects, she became an international public figure, the director and founder of the “Tabernacle” Fund, and she leads the movement founded by pastor Natalia Potopaeva, “We will protect children from the epidemic of drug addiction.” Glory to the great God! Another sister from the church told about the wonderful, quick (to the doctors’ astonishment), recovery of her son after having fallen from the second floor and beating the back of his head and back on a hard surface. God healed the rupture in his lungs, a crack in his head, a hematoma in his head, his broken ribs and even more. And all this happened after a month of being in hospitals and praying, even though doctors had predicted a treatment duration of at least 6 months. Praise God for that! 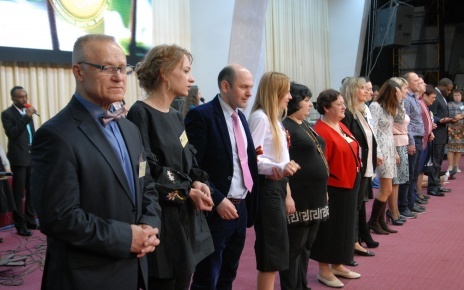 The ministry continued with the presentation of the public movement “From heart to heart” under the leadership of Alexander and Olga Klauning, who recently opened a ministry for veterans. This movement holds charitable concerts, trainings, women’s clubs, visits patients, provides material assistance, and congratulates veterans on their birthdays with prayer. Love needs to be shown practically, and we will change from inside out as our heart changes, Olga Klauning said. And Pastor Olga Nikitina, the sponsor of the movement, drew attention to an important principle: If you serve others, God will serve you. At present, the public movement “From heart to heart” invites willing people to partner with them. 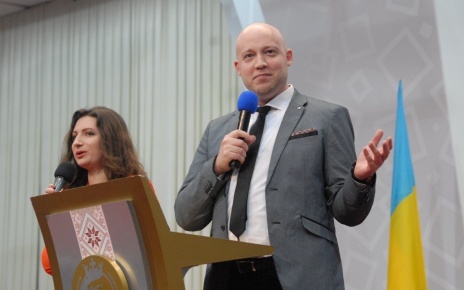 Following this, the guests of the 23rd Anniversary invited the president of the History Makers Academy, pastor Derek Schneider from Canada to the stage. Pastor Derek was pleased to announce to the audience that the “Embassy of God” church is his house and his family. 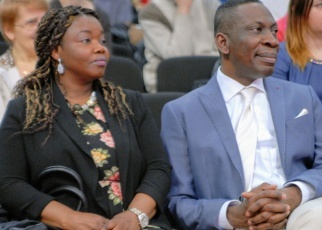 He especially expressed his delight for the opportunity to greet these people who are very dear to him: pastor Tope Omotoye, pastor Natalia Potopaeva and, of course, Pastor Bose and Pastor Sunday Adelaja. Pastor Derek alerted the audience in advance that he did not know what Pastor Sunday would preach in the evening service on the first day of this Anniversary. It turned out that Pastor Derek’s sermon echoes Pastor Sunday’s theme at the opening of the Anniversary, which is a confirmation that this is indeed the message that God wants to convey to the “Embassy of God” church. Pastor Sunday spoke of the need to let the crowds go. You have to be very brave to say this. Other pastors are afraid to speak from the stage on this topic. But what was the meaning of scattering the crowds to Jesus? It turns out that Jesus was not interested in the crowd, He was interested in divine relationships. Jesus preached to 5,000 people and then sent them away; In the same way, Jesus spoke to 70 people and also sent them away. He allowed people to go with them, so that their hearts could be tested. God also sent a flood upon the earth to cleanse it of sin. He preserved 8 people, from whom all other people came. The point is to produce a great result from a small group of people. To do this, God must be sure that He is working with a people who have a pure heart and a pure attitude. Jesus developed divine relationships with his disciples. However, in order for the disciples to have a divine relationship with Jesus, they had to go through trials. And despite the fact that the disciples had been with Jesus for a long time, it is written: “I will smite the shepherd and the sheep will be scattered.” Then the question arises: who struck the shepherd? Satan? Judas? Could it have been God? It is said in the Bible that even God Himself turned from Jesus. All these together were a striking force that scattered the sheep. But when we ask the question “Who has struck the pastor?” A more important question is “What will this lead to, what will be the sheep’s reaction?”. When the pastor is “struck,” there are two types of reactions. The reaction of Judas. This is the kind of reaction that we, as people, do not want to have. In the Bible it is said about Judas that it was better for him not to be born, because he was the traitor who was not there before. He walked with Jesus, but this betrayal was in his heart. The reaction of the Apostle Peter. What Peter went through tested him to his depths. That is why our divine result will depend on the trials that we will pass. Peter went through uncommon tests, because he had an uncommon relationship with Jesus. Peter had access to Jesus. Access is at first a chance, then it becomes a test, after which it becomes a either a loss or a gain. If you have a divine relationship with your shepherd, it is essential that you be tested. God did not call Peter because he was good. He urged him to build divine relationships, which need to be developed and worked on. There is something supernatural about who we have relationships with. 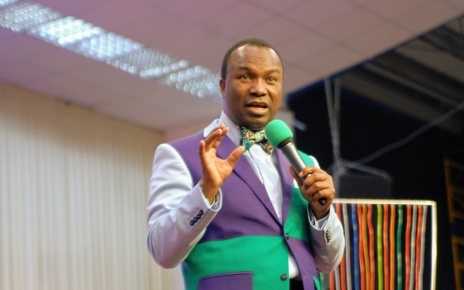 For example, what can a black Nigerian (pastor Sunday Adelaja) have in common with a white Canadian (p. Derek Schneider)? How can it be that Pastor Sunday heard about the Savior through television and eventually decided to dedicate his life to God? 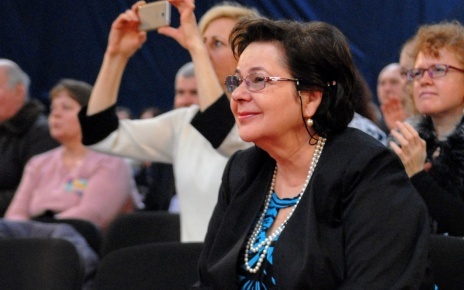 How can it be that a woman who watches a sermon over the Internet in New Zealand, later has travelled today to Kiev? Who would have thought that God would send me to Bulgaria, where there are no missionaries of the Embassy of God? Only after that did Dmitry and Katerina start developing a rehabilitation centers there. This is the power of divine relationships! But if one of us becomes a traitor and break this chain of divine relationships? The relationship will be broken. So, Peter was tested. 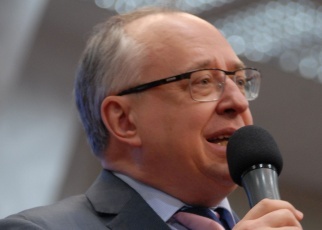 Pastor Derek said something in Russian during his sermon to confirm his relationship with us, the Russian speakers present, which was a pleasant surprise to the audience. Peter had unusual access to the mentor. He had passion and thirst, but at the beginning, had not been tested. Until your divine relationship has been tested, you do not really know what is in your heart. Peter was tested three times. One time, when he got out of the boat and walked on the water. But then, when he began to fear, he began to sink. After this test, Peter would not forget this lesson ever. When he separated from the source, he began to sink. Here exists a principle: when we separate from the mentor – we begin to sink. Fear destroys our lives. In fact, Peter was the most zealous of the disciples, and yet he betrayed Jesus first, three times. Peter thought that everything that happened to Jesus concerned Jesus only, but this was a test for Peter. Principle: the path you are going through does not concern anyone else, but you personally, it is important how you react. God uses other people to test you. You will not be judged for the behavior of the other person, but for your own attitudes and relationships toward others. Jesus passed all his trials and rose from the dead. And then He was glorified. Then He invited all the disciples to glorify them with Him. If you have a divine relationship with your father or leader, then when he / she is exalted, you will be exalted with them. They will also be tested, and then will rise again. But where will you be? If you are a part of the crucifixion, you will be a part of the resurrection. The Embassy of God Church, prepare for glory! Peter received his inheritance only after he passed his test. There is a big difference between what kind of a person you are in trials, and what kind of a person you are in glory. Luke 15: 11-13 holds prophetic words. The sons have inheritance. It comes from the father. If you read the history of the Jews, you will see that asking your father for your inheritance before he was dead was tantamount to wishing him to dead. The son that asked for his inheritance earlier than he needed to was immature. 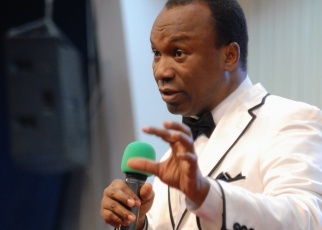 Your inheritance from your spiritual parents can only be obtained when you become mature sons and daughters. It comes through honor and reverence. Further, in Luke 15: 20-24 we see how much favor the father showed to his son; he accepted his son with joy. Pastor Derek drew our attention to the following advantage. Through divine relationships, we can gain God’s mercy. The story of Peter demonstrates that we can always return to our father. The story of the prodigal son tells us we can receive mercy from our father. Pastor Derek finished his sermon with the following story. When Jesus resurrected, not everybody recognized Him immediately. Jesus began to do incredible things. He entered into his inheritance. He began to communicate with his closest disciples, who did not recognize Him, and only with time, at the moment of breaking the bread in communion, they eventually recognized Him. In this way, they restored their divine relationship with Jesus. They recognized Him in the breaking of the bread, in the trials. Do you recognize your father in the breaking, in the tests? Today Pastor Derek addressed those who have a divine relationship for a specific purpose. Also, Pastor Derek invited people to his next sermon on this stage on Sunday (April 2) and thanked God that Pastor Sunday a time ago “kicked” him out of the four walls of the house. May God help you to build true divine relationships!